If you’re a lover of antique jewellery and trends throughout the ages when it comes to exquisite design, then our two-part post is for you. We’re kicking off 100 years of diamond rings in a two-part special, where we’ll first be talking about some of the incredible designs of rings from 1900’s up until the 50s. Enjoy! 1900-10 Design at the beginning of the 1900s were simple and beautiful. Often featuring a single diamond in polished gold, the overall appeal was a very European statement. 1930 The deco and nouveau period are highly answerable when it comes to beautiful jewellery design. AS a period known for stunning architecture and gothic design, the overall look was glamorous, artistic and breathtaking. 1950 Round solitaire diamonds played popular roles, where white gold and striking platinum settings cased a central gem. Side stones were considered very glamorous, reflected on the most stylish of hands as it was on the silver screen. Be sure to check back in for the second schedule of our two-part blog release, where we’re talking about diamond ring trends from the past- in our July post, we’ll discuss the trends that rose up after the 50s, encompassing coloured stones, glamorous settings and the trends that went on to bypass those style journeys. Want to read more about diamond rings over the last century and how they continue to shape our choices today? Stay tuned for part two! 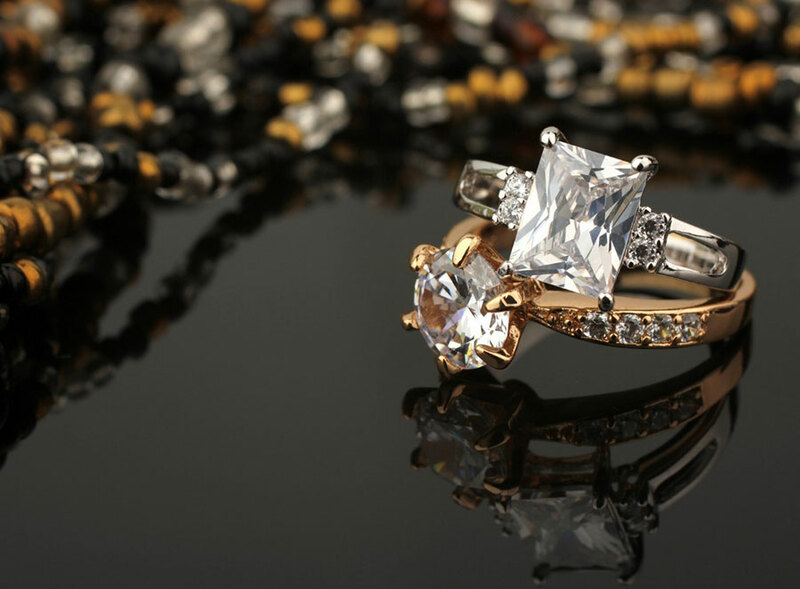 Australian Diamond Company are committed to delivering expertise and assistance that is second to none. Our sophisticated designs can be viewed by booking an appointment with one of our passionate consultants. Call us on 03 9660 4455 today.